With one of Europe’s lowest crime rates, lots of sunshine, mild temperatures, a relaxing lifestyle and pace of life, buyers of Lisbon property enjoy a high quality of life. A fascinating heritage, rich culture, beautiful architecture, excellent transportation network, great gastronomy, vibrant nightlife and attractive property prices have combined to make Lisbon one of Europe’s up-and-coming locations in which to purchase property, for that second home, rental investment or for permanent accommodation. Lisbon real estate remains an excellent long-term property investment. While it is modern in many respects and possess strong economic clout, Lisbon is very much in touch with its past. Lisbon’s roots date back to before the Romans and the Celts. Historic landmarks include the Praca do Comércio Plaza, Jerónimos Monastery and the Tower of Belém, which is a UNESCO World Heritage site, as well as the 12th-century Lisbon Cathedral. Never are thoughts of the past far from mind as one traverses the cobblestone streets and gazes up at the crenelated castle walls. The architecture is Gothic and Baroque, and is set off by sleek modern boutique hotels and new waterfront developments. 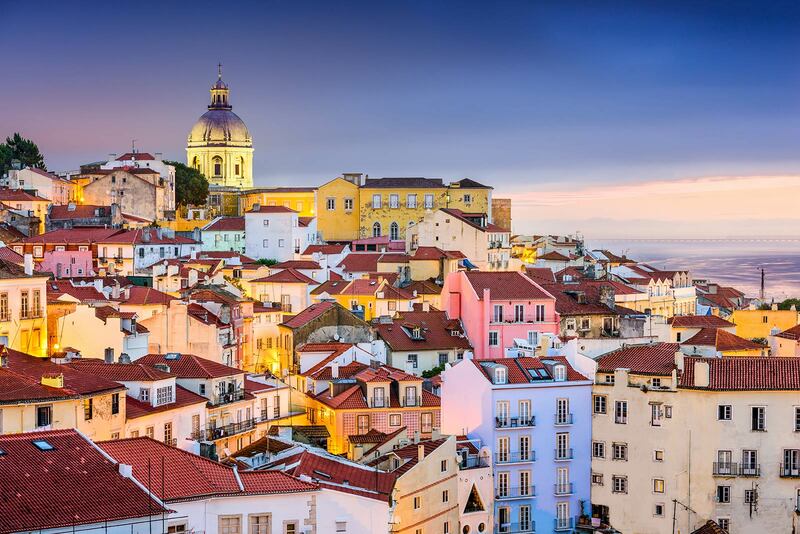 Add into that the wonderful Atlantic beaches, the days of sunshine and the mild weather, and it is clear to see why Lisbon is loved by so many international property buyers in search of that special lifestyle. Neighbourhoods along the Tagus River and the Alfama, including Bairro Alto and Chiado, are amongst the most popular with those in the know. These are areas of thrumming nightlife, of narrow streets that wend their way along. Also popular are the many small uptown neighbourhoods that possess an almost village-like quality with amenities like schools, restaurants and parks. Amongst them is Alvalade, in the direction of the airport, plus Avenidas Novas and Amoreiras. The Lapa quarter is in the heart of one of the seven hills of Lisbon, and it is without a doubt one of the most emblematic neighbourhoods in the city. Lapa is a prestigious residential area where most embassies and consulates are located, and one of the safest. As well, increasingly buyers are looking at Parque das Nações, which was the riverside location of Expo 98. When the temporary exhibitions were shipped out from the Expo site, developers moved in and the overall effect nowadays is similar to London&apos;s Docklands. The low cost of property in Lisbon is one of the most attractive aspects for domestic and international property buyers at a time when prime real estate in other European capital cities has shown a significant appreciation. As the only European capital located so close to sandy beaches, the Lisbon coast offers beautiful beaches that range from sheltered little coves, to miles of dune-lined sands. With more than two dozen Blue Flag beaches to choose from, the coast offers excellent conditions for water sports and attracts surfers and bodyboarders, with all levels of experience, from around the world. Some of the world’s leading designers of golf courses have left their imprint on Lisbon as well. Penha Longa, which once hosted the Portuguese Open, and the always popular Quinta da Marinha were both designed by Robert Trent. For the golfer seeking something a bit more rugged than these lovely courses, Oitavos Dunes and Praia D’El Rey are not to be missed. Both have made the Top 100 list in Europe and should be on any Lisbon golf itinerary. With great international air links, Lisbon Airport provides flights to all over Europe and elsewhere. Lisbon is about a 7-hour flight to New York and a 9-hour flight to Rio de Janeiro. The international air links with many non-European Union countries have attracted many buyers arriving under the country’s Golden Visa program, one that is particularly popular with those from China, South Africa, Russia, Eastern Europe and the Middle East. The incredible, well-priced property sector and sound rental income streams, along with Lisbon’s location, popularity and reputation, will provide one of the best and most secure real estate investments in Europe. 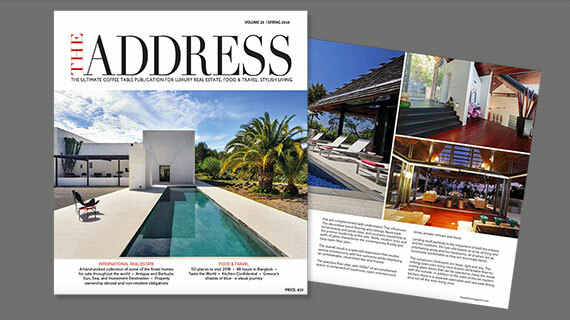 Explore real estate in Lisbon for sale in THE ADDRESS.